When there is broken glass in the home, it is vital that you clean it up quickly and efficiently. If pieces of glass are left behind and forgotten about, it can lead to injuries in the future. This is particularly concerning if you have children or pets in the home. Cleaning up broken glass is even more important for businesses, to protect the safety of your customers and the reputation of your establishment. 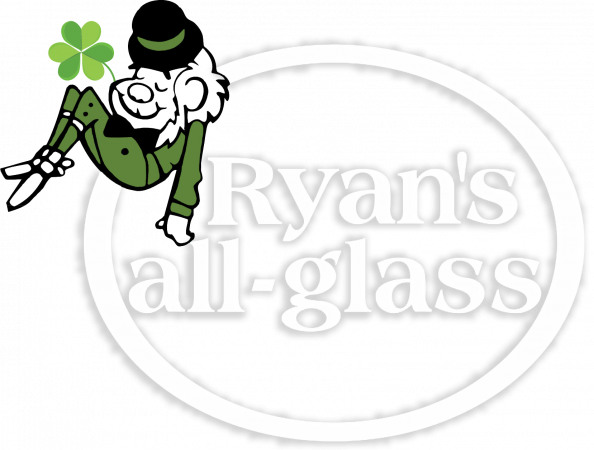 In today’s blog posts, the glass repair service experts at Ryan’s all-glass take a look at the best ways to clean up broken glass. Once you see that there is broken glass, the first step is to completely clear the area. This will keep everyone safe, and it will also make it easier to clean up the area without glass pieces spread around and broken further. Once you clear the area, you will need to focus on the bigger pieces. If the break is on a hard surface, this process will be much easier and will require a quick sweeping. However, if the break is on carpet, the process is a little bit more difficult. You will want to put on gloves and carefully remove the biggest pieces. Getting the smaller pieces is much more difficult than the bigger pieces. Again, if your break is on a hard floor, sweeping will do most of the job. A good trick to check for the presence of small pieces is to press a small piece of bread against the floor and see if any stray pieces were picked up. Getting rid of small pieces might actually be easier on carpet, as a thorough vacuuming of the affected area can get rid of those stray shards. If you have experienced a major glass break at your business or home, calling a glass repair service is always a good option. Not only will a glass repair service give you a thorough clean-up, but they can also help you get a glass replacement quickly and easily. 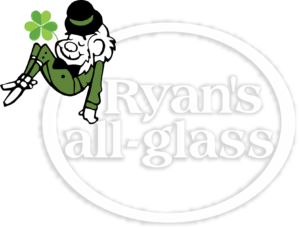 If you are looking for a glass repair service, Ryan’s all-glass can help you find a quality, quick fix for your broken glass. For more information on what we offer, get in touch with us at (513) 771-4440 or contact us online today.